There are 100 million sunflower seeds laid out in the turbine hall in London’s Tate Modern Turbine Hall. It took two and a half year to make all of the porcelain sunflower seeds. There were 1,600 Chinese people working on it. 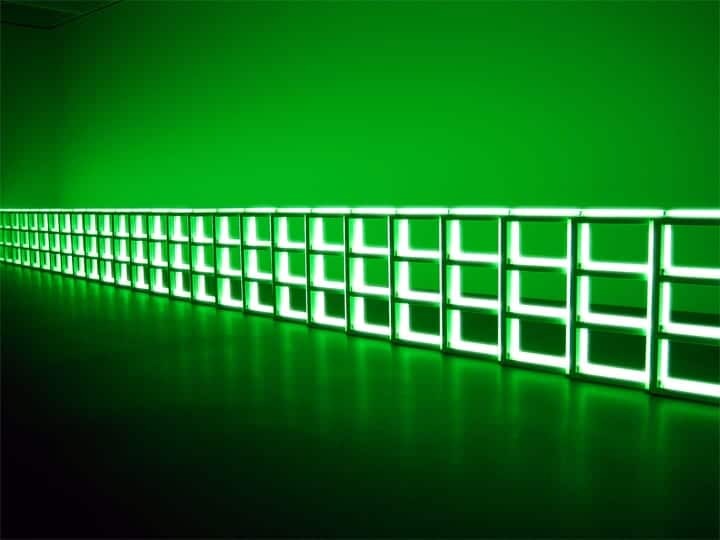 Dan Flavin – the art of fluorescent light! The artist uses limitation of his art moderne of materials to commercially available fluorescent tubing inserting it into the world of high art. The resulting body of work at once possesses a straightforward simplicity and a deep sophistication.